Service interruptions can cripple a business. 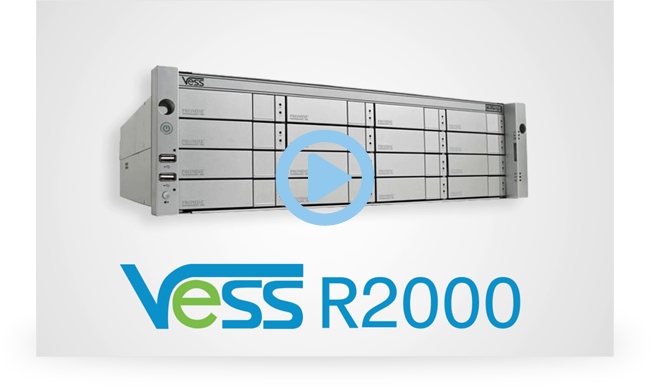 With the Vess R2000 Series, customers have a cost effective, dual controller, high-availability NAS-in-a-box, which ensures uninterrupted services. 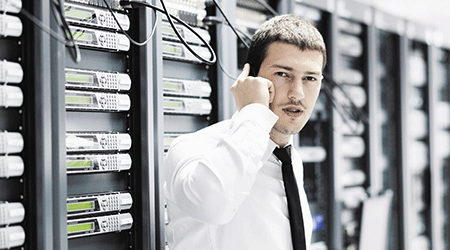 Conventional single controller based NAS solutions cannot always provide uninterrupted services. In order to achieve high-availability, those NAS solutions must deploy a high-availability cluster combining several devices, which is significantly more expensive. 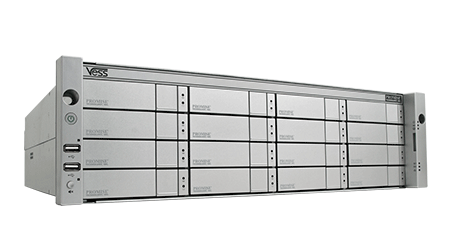 The Vess R2000 high-availability NAS cuts system configuration costs in half, cuts rack space by 50%, and greatly reduces management complexity compared to traditional single controller NAS solutions. 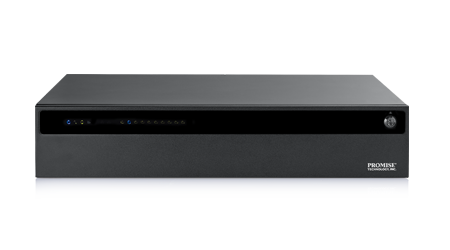 Combined with the decreased risk of downtime and the hidden costs associated with bringing back single controller solutions for live use, the Vess R2000 Series is ideal for businesses trying to do more for less. 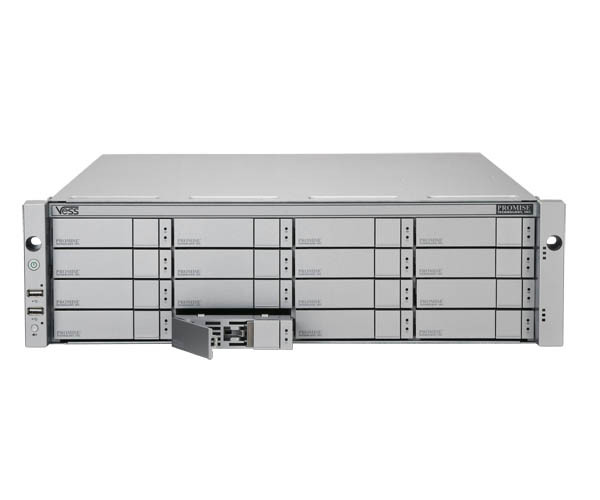 The Vess R2000 Series is a unified storage solution that offers impressive performance while simplifying administration and adding flexibility. 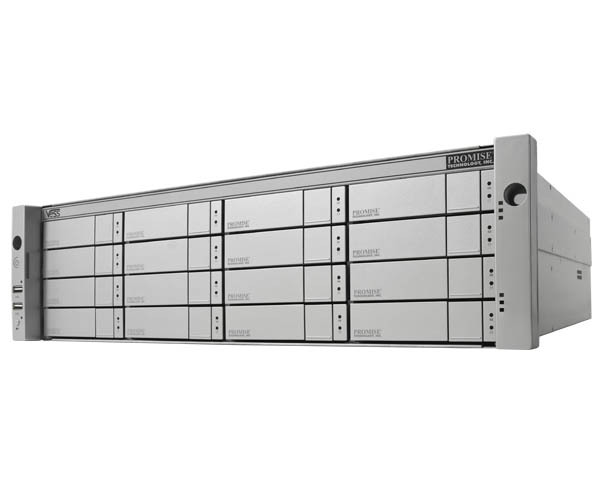 Choose to use an 8 Gb/s FC SAN for heavy I/O applications like video editing, high performance computing or scientific research. 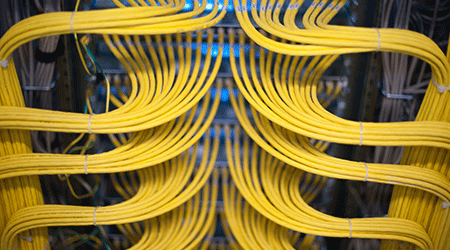 Use the 1 Gb/s &10 GB/s iSCSI SAN for less intensive I/O applications like data backup or remote replication. 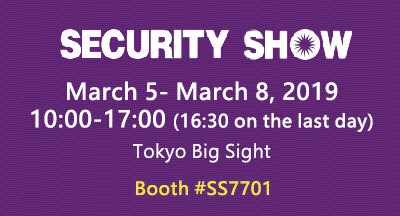 Or use NAS for video surveillance, virtualized environments or general file sharing applications. Ready to confront any challenge in today’s virtualized IT environment, the Vess R2000 is certified with VMware vSphere, Citrix XenServer, Microsoft Hyper-V and DataCore SANsymphony-V. Additionally, the Vess R2000 Series now supports VMWare VAAI, which reduces resource overhead on VMWare vSphere ESXi hosts. 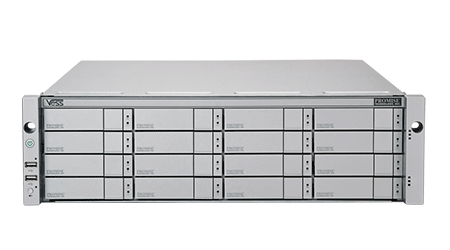 This significantly improves performance for storage-intensive operations like storage cloning, zeroing, and more. 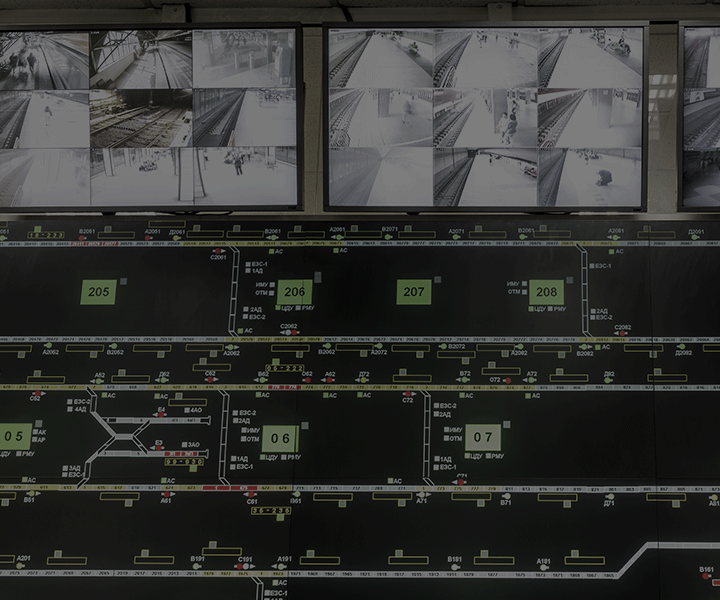 The Vess R2000 Series is tested and certified for Milestone XProtect® video management software. 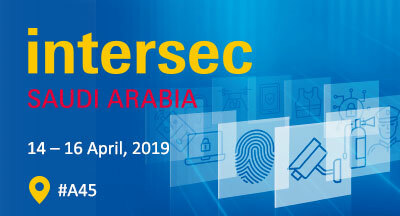 With documented performance results, best practice guidelines, and innovative solution architectures, integrator and end users can easily build a video surveillance solution with Vess and XProtect with complete confidence. Additionally, the Vess R2000 was verified to support up to four times the number of cameras as recommended by the Milestone calculator. Ease of use is absolutely crucial for SMBs with limited IT resources. 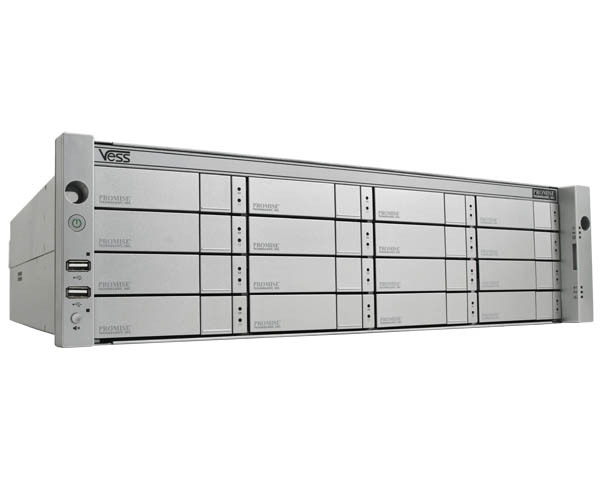 The Vess R2000 Series is designed specifically with SMBs in mind, as it features One Plug Auto Service (OPAS) to reduce maintenance complexity and provide a streamlined tech support workflow. Simply plug in a USB drive and the user can retrieve information about the system for tech support, upgrade firmware, reset passwords and much more. 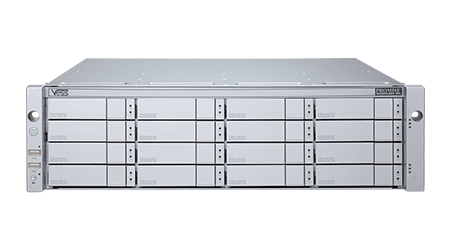 Promise Technology Inc., the leading developer of open storage platforms for video surveillance, has been named the ‘Best Storage Solution Partner’ in Africa by Milestone Systems. 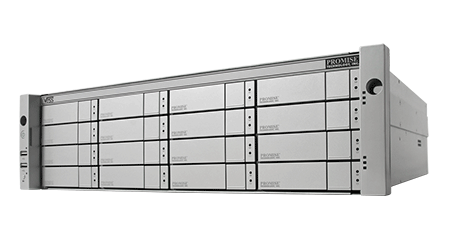 Promise has now received this honor from Milestone on two continents, having also been designated as its leading storage solutions partner for the past two years in APAC. Case Study : Johnson Controls Inc. 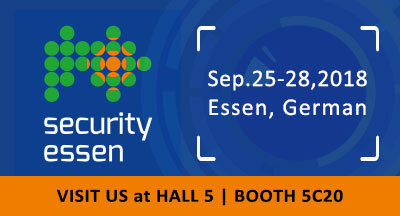 The Vess A-Series of Storage Appliance are reliable integrated server and storage solutions for IP video surveillance. 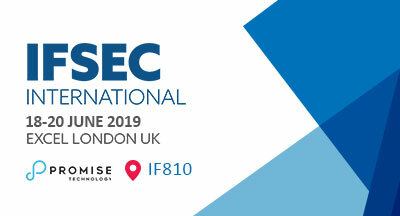 Vess appliances are open platform solutions that can be deployed with any of the leading IP cameras and video management software (VMS) for installations of any size – from standalone units to large scale deployments requiring hundreds of cameras and petabytes of storage. 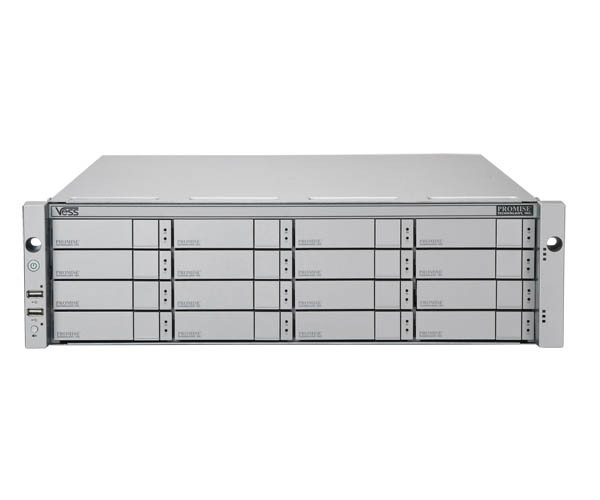 The Vess J2000 series is a robust storage expansion platform that serves as a building block to provide high-availability and flexibility in a cost effective package that is simple to administer and meets the demands of your application.